Janis Lyn Joplin (January 19, 1943 – October 4, 1970) was an American singer considered the premier female blues vocalist of the Sixties; her raw, powerful and uninhibited singing style, combined with her turbulent and emotional lifestyle, made her one of the biggest female stars in her lifetime. Joplin rose to fame in 1967 during an appearance at Monterey Pop Festival, as the lead singer of the then little-known San Francisco psychedelic rock band Big Brother and the Holding Company. After releasing two albums with the band, she continued as a solo artist. She died of a drug overdose in 1970 after releasing three albums. A fourth album, Pearl, was released a little more than three months after her death, reaching number 1 on the charts. 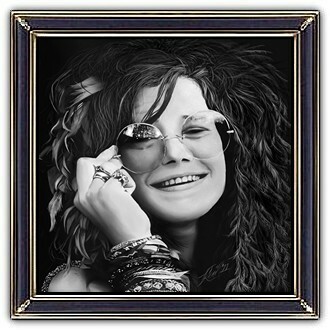 Joplin is one of the top-selling musicians all time.